COPEX solar are specialized in all kinds of solar systems including solar panels, solar charge controllers, power inverters, solar batteries, solar lantern, solar kit, solar air condition, solar refrigerator, solar water heater, solar fan, solar TV, solar street light, solar water pump…. With over 12 years experience. COPEX solar partners with top international factories from different countries to deliver high quality products and services for our esteemed customers. 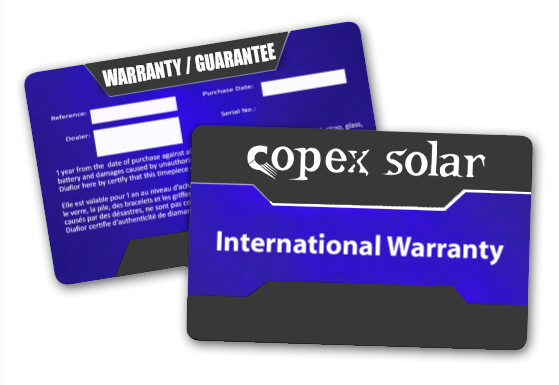 With Manufacturing, Sales, Support and Administrative offices spanning across the globe, Copex Solar has a strong infrastructure in place to support our customers’ needs throughout the world. Copex Solar corporate headquarters are based in Dubai, United Arab Emirates.